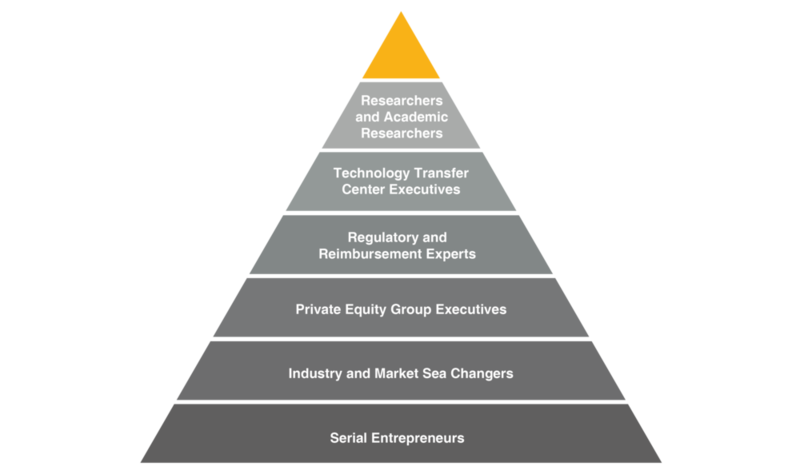 In order to best assess future value and build an appropriate, futuristic business case for the optioned assets, we will utilize a select group of Key Innovation Leaders (KILs). Key Innovation Leaders (KILs) are recognized as the foremost experts and “futurists” in their respective fields. Our proprietary panel of cross-disciplinary KILs look at the future market trends one to ten years from the present day. Because KILs are on the cutting edge of trends, they function as a valuable resource for understanding the future of the business, new business models, products and platforms including policy, regulatory, technology, customer conversion, technology adoption, and risk aversion, and for understanding real-world market evaluation and assessment. Based on the optioned asset, our team will construct a project specific Key Innovation Leader Study Guide/Questionnaire. This Study Guide/Questionnaire will be developed based on the profile of the asset and the Key Innovation Leader’s specialty area of focus. The Study Guide is to be used as a platform for exploration and discussion with each individual. Depending on the profile of the optioned asset, our team performs in-depth interviews with world renowned Key Innovation Leaders on a global scale. We identify and interview best in class individuals with specific expertise aligned with the fund charter. Our interviews are comprehensive in nature covering all aspects. We uncover topics related to mode of action, time to market, financial return, and overall expectations of the optioned IP.